For a few hours one morning, I repeatedly failed to defeat Mario & Luigi: Superstar Saga’s final boss, Cackletta. I remember that unseasonably warm February day clearly. Of course I do. It’s only been four months since I got thoroughly thrashed. 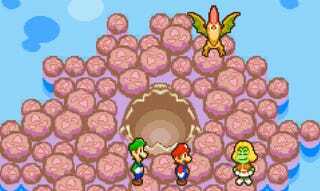 Before the final battle of Nintendo’s 2003 Game Boy Advance classic frustrated me, I spent many hours marveling at Superstar Saga’s unmatched wit. I’ve loved the Mario & Luigi series for a few years well now. That fondness began with 2009’s Bowser’s Inside Story. Since then, I’ve looked forward to the series’ humor and creative gameplay. I even look forward to the unveiling of its North American box art covers, which hint at more than just pretty aesthetics and good times. 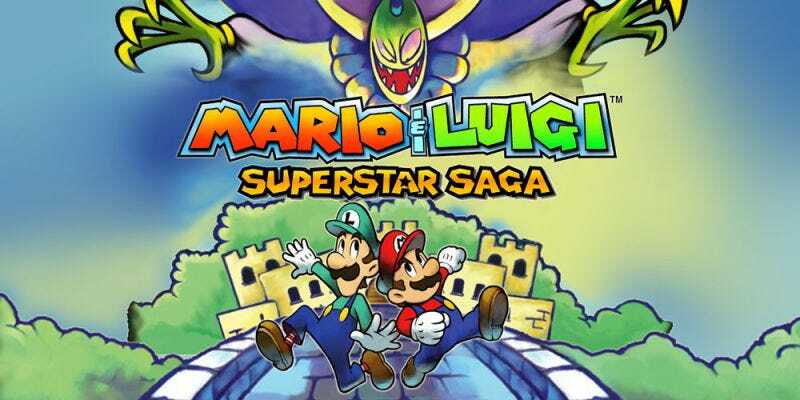 As much as I love the series, I never got around to playing the Superstar Saga, the first game in this Mario & Luigi RPG franchise, until this year. There’s something undeniably precious and cute about the game’s charming humor, use of color, and art. Its tough battle system—requiring players to balance timed attacks and defensive maneuvers—reminded me of the time I struggled to play Mario & Luigi: Partners in Time in 2005. But apart from Superstar Saga’s headache-inducing final battle, I was so pleased to finally be able to delve into the first game’s Beanbean Kingdom’s adventures. The game’s music, its neat save system, Bowser’s ridiculous inclusion in the game, and Beanbean royalty—these are all some of the things that had me laughing then and still thinking on now. Here’s why. Perhaps one of the most entertaining villains in Mario’s history, all you need to know about Fawful’s characterization is in his introductory conversation with the brothers. Cackletta may be the horrible, purely evil main villain of Superstar Saga—and don’t misunderstand, her vampiric presence that’s exacerbated by her constant cackling is chilling—but her right-hand minion steals the show. His incessant berating of the brothers is worded so succinctly that for every fury he has, it’s actually quite insulting yet oh so amusing to be referred to as an idiot of foolishness by him. Comical but stinging just the same. It’s a small detail that adds so much joyful personality to the game’s save screen. Whilst preparing to cross the border into Beanbean Kingdom on Bowser’s ship, the brothers are asked if they have their passports ready. The attending Koopa photographer notices that they do, but their pictures are absent making them invalid. Well, d’oh! Looks like the brothers will have to take some pictures, but as the Koopa pleads, any sudden movements made by pressing the directional pad will result in posing that’ll mess up the photos. So what do you do? Mess with the poses to get hilarious passport photos. It’s entirely appropriate for their adventures across the new kingdom (but maybe not so much by the TSA, if I had to guess). Of course! It’s a tiny, fun reminder of your goofing that is immortalized in the brothers’ suitcases every time they access the save screen. In the Mario & Luigi series, I’m beginning to think that Bowser has a lot more in common with Luigi than I realized. In Superstar Saga, Bowser crashes to the ground which sets his course as a sidekick villain for the rest of the game. Until he’s unceremoniously possessed by Cackletta. The great Bowser is first reduced to taking orders from a sleazy, petty criminal and then manipulated into being someone else’s evil puppet. And not even a formidable boss either. Cackletta’s final form gave me hell, but the Bowser and Cackletta combination, Bowletta, was not nearly as troublesome. I didn’t like the deranged eyes their monstrous combination had though. That wasn’t cool either. There’s so much good music put forth by composer Yoko Shimomura in this game. It’s not surprising as her take on the series’ music consistently produces amazing tracks with every new entry. Great villains’ themes convey much about what you’re dealing with. Cackletta’s is a nightmare castle showpiece with organs and a carnival element to it. I probably should have expected her rotating arms in the final battle would have given me night terrors all these months later (worst attack! ), given that her theme music had that freakshow quality to it. It’s an unsettling mess. The piece is not the only one with that specific quality but it’s also very different from many of the other playful and intense battle tracks featured on the soundtrack. These elements are just some examples of what makes Mario & Luigi: Superstar Saga so wonderful. It was a treat getting to experience its offbeat humor for the very first time—an endearing quality of the series that shows in subsequent entries. There are rumors swirling that the game is headed to the 3DS. If true, it would probably be too soon for me to re-play it and get super irritated by the final fight again. But just so you all know, I did eventually finish Superstar Saga! 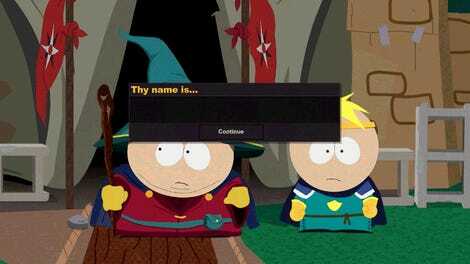 And in spite of the hair-pulling, the 14 year old game’s timeless humor gave me so many chortles.